Location convenient to you. There is nothing virtual about divorce, it requires a real adviser close to your home or work. Specialism. Family lawyers are accredited through schemes you can verify through the Law Society or Resolution websites. Fair charges. You have to cut your cloth. Legal aid is not often available but some level of service should be available for your budget. 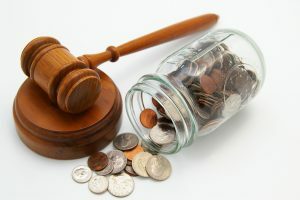 Solicitors increasingly offer fixed fees and package services, for example for advice, to negotiate out of court or for representation in court. 1. We are family law solicitors in Northwich, Cheshire. Google CW8 4DP to work out if we are convenient for you, though we are happy to visit a neutral venue if you want to use us anyway. 2. Michael Brennan has nearly 25 years experience in family law practice and has specialist accreditation with both Resolution and the Law Society. He specialises is complex financial issues in divorce and child arrangements. 3. We have a package available for most budgets and for a limited time have discounted our fees, making 10 hours specialist work available at a quarter of the standard rate. This will be withdrawn soon but we can help you identify funding options and accept credit cards. Resolution recently commended our use of fixed fee options. To find out more about how to get the best service at a good price when you divorce or other family law issues, telephone 01606 872200 e mail Michael.brennan@stonehewermoss.co.uk or visit www.stonehewermoss.co.uk. This article was added on Monday, November 30th, 2015 at 11:47 am and is categorised under Cheshire News, Child arrangements, cohabitation disputes, Divorce, divorce finances, Family finances, Family Law. Both comments and pings are currently closed. Error: Error validating access token: Session has expired on Saturday, 09-Mar-19 13:12:58 PST. The current time is Thursday, 25-Apr-19 21:43:28 PDT.